Inspired by mid-century modern style and star constellations, the Argento L Chandelier by Eichholtz combines contemporary finishes with a retro look. Hand-crafted with an antique brass or nickel finish, the chandelier features clear glass spheres that diffuse light and create a warming glow. 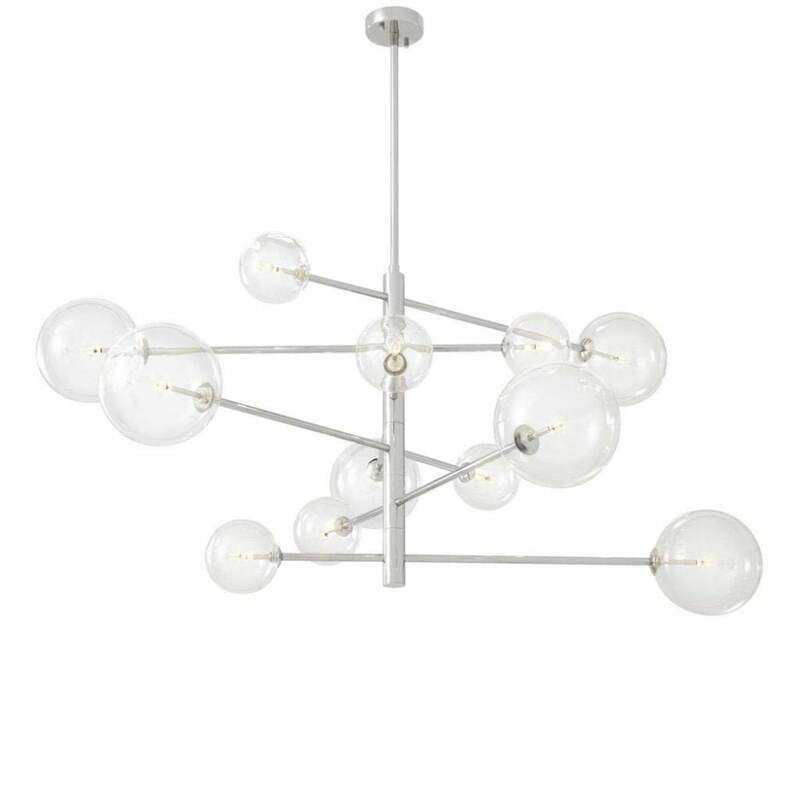 This modern take on a classic chandelier features varying sizes of glass spheres that sit in a striking asymmetrical design. Position above a contemporary dining table or centre of a living room scheme for a luxe look. Also available in a smaller size, make an enquiry for more information.